Bring family and friends to the Kite Festival at Sailwinds Park, held on Sunday, October 27 from 12-4 pm on the shores of the Choptank River. 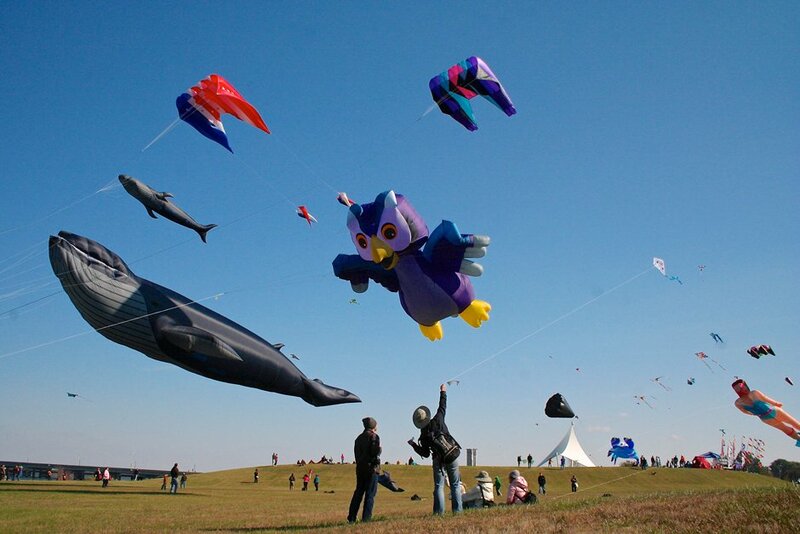 This free festival features kites of all shapes and sizes. It’s free fun for all ages. Bring your own kite, buy one at the fest, or watch expert kite flyers with huge kites. Plus bungee bounce, face painting, food, music, and more! To keep up with the news, join the Kite Festival at Sailwinds Park Facebook page. Call 410-228-1000 for more information. Located right by the Dorchester County Visitor Center, 2 Rose Hill Place in Cambridge, Maryland.